On a recent Tuesday morning, Brandi Geoit sits at a conference table at the West Coast Aids Foundation headquarters. Across from her in the small New Port Richey office with butter-yellow walls is Dwight Pollard, a 61-year-old man living with AIDS. Geoit tells him a new Florida law means patients like him could lose some of the financial help they're getting through Medicaid. "We're not sure if you would keep your Medicaid because you're still pending for your social security. And you haven't qualified for Medicare yet because you're still not old enough,” Geoit said. Pollard no longer works, and depends on a special Medicaid waiver to cover his health care costs. Medication alone can cost $15,000 a month. His partner, Ed Glorius, was sitting next to Pollard as he heard the news. "It just doesn't make sense,” Glorius said. “It doesn't make sense to put people's lives in turmoil. We're better off than most and I'm freaking out. I'm waking up first thing in the morning thinking about this every day." Pollard is one of about 8,000 Floridians with AIDS who get help paying for doctor visits, medications and various home health services through this Medicaid waiver fund, which is called Project AIDS Care. Last month, Gov. Rick Scott signed a bill formally eliminating this waiver for AIDS, along with waivers for cystic fibrosis, developmental disabilities and elder care. 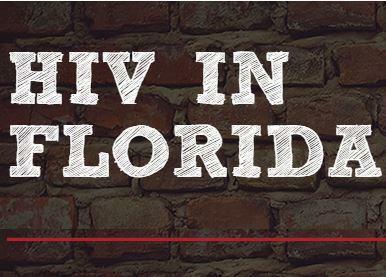 Florida's Agency for Health Care Administration said while the waiver is going away, patients with AIDS in Florida will not see a loss or gap in services. The agency declined repeated requests for interviews, but issued a written statement, explaining transition into a Medicaid Managed Medical Assistance plan. "We will continue to provide the same services through the same providers for these individuals. The PAC (Project AIDS Care) waiver is essentially a waiver that expanded Medicaid eligibility to those diagnosed with HIV/AIDS and allowed the recipients to access needed medical services (e.g., physician services) and drugs. Given the advances in pharmaceuticals available to treat HIV/AIDS, most PAC recipients in the waiver only need those medical services and case management. With this transition, their eligibility will be maintained and they will continue to have access to the medical services, drugs and case management under the MMA waiver through the health plans. They will see no reduction in services and will be able to continue to see the medical professional they always have." The agency said patients will go into the Medicaid Long Term Care program starting this month. Everyone will be transitioned into it by Jan. 1, 2018. But Geoit estimates 90 percent of her clients will not meet the requirements for long term care, which normally applies to people needing round the clock nursing. She said her clients will definitely lose certain services that Medicaid doesn't cover. Massages for those with neuropathy? Gone. Pest control? Gone. And services that are currently covered - like delivered meals, adult diapers and wheelchair ramps - could be lost, too. So, she's asked the state to clarify how it's now different. "When we asked them, they said, 'Don't worry. Reassure your client that they'll be taken care of.' And when we asked them point-blank what happened, you know, we were under the impression that a single adult still does not qualify for Medicaid. Has this changed? And they ended the conference call,” Geoit said. Her program - a non-profit - exists only to manage the Project Aids Care waiver money for 325 clients in seven counties including Pasco, Pinellas and Hillsborough. With the new law, Geoit said her foundation will shut its doors by the end of the year. For Dwight Pollard and his partner, the State Agency for Health Care Administration's lack of answers is a concern. “You don't need the stress of how you're going to pay or how you're going to do this,” Pollard said. But that's his reality. And Pollard said until the state agency can give clear answers, he'll keep searching for other programs that can help pay for his life saving medications.